19-3/4" High x 13" Wide x 5-1/8" Proj. 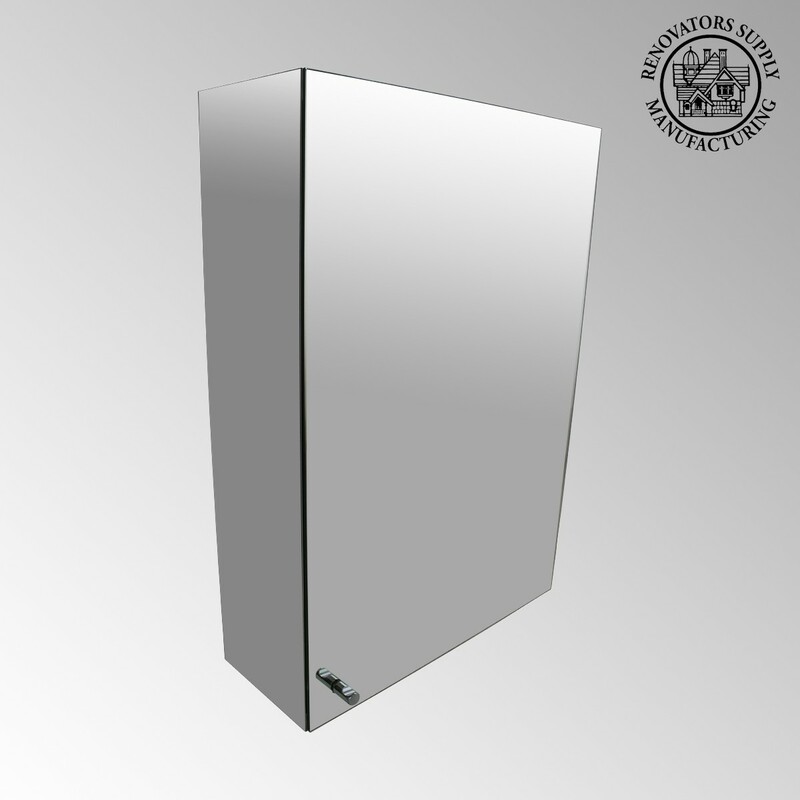 This wall-mount medicine cabinet from Renovator’s Supply features all stainless steel construction for longevity and clean modern style. 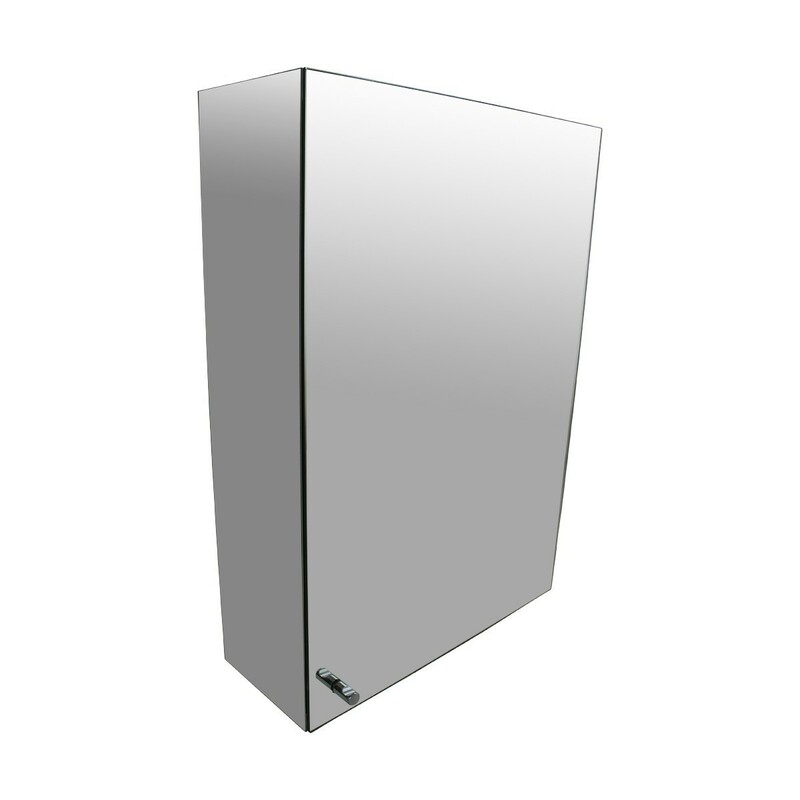 - 19-3/4” Tall x 13-1/4” Wide Mirror on door. 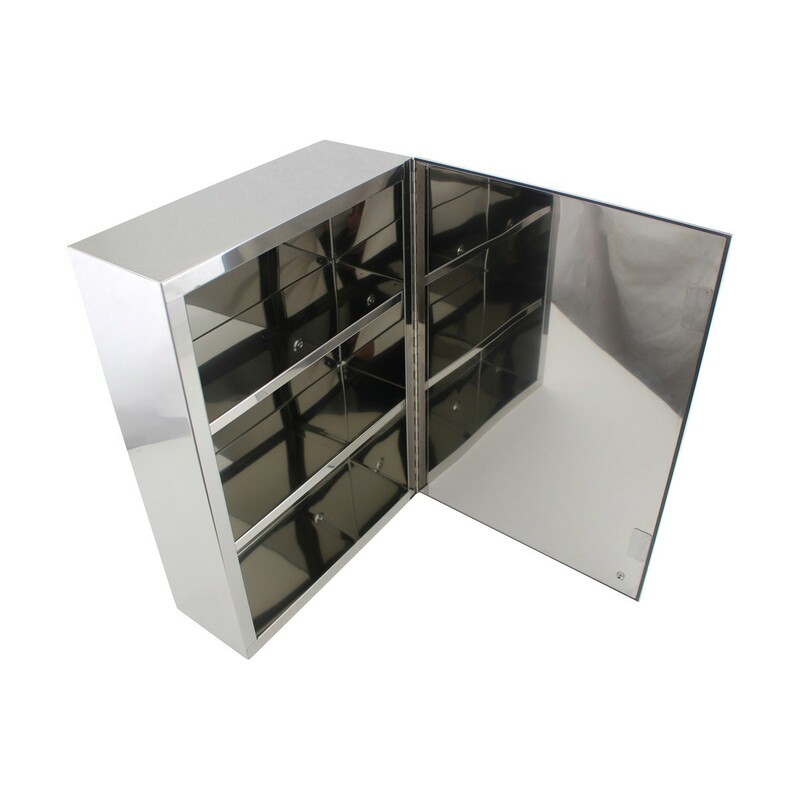 - Three shelves (including removable middle shelf. - Full-length piano hinge opens from left. - Door magnet allows effortless opening and closing. - OVERALL: 19-3/4” H x 13-1/4” W x 5-3/8” Proj.